If you are like me you might have many notebooks around your home and you could always use some more ;) These notebooks are just lovely and the perfect size (3.5″ x 5″ inches) but they lacked a cover. This craft was inspired by a previous ornament craft with diamond shapes. The way I made these was fairly easy using a rubber-stamp, white pigment ink and embossing powder. I have a tutorial on how to use embossing powder on this post. 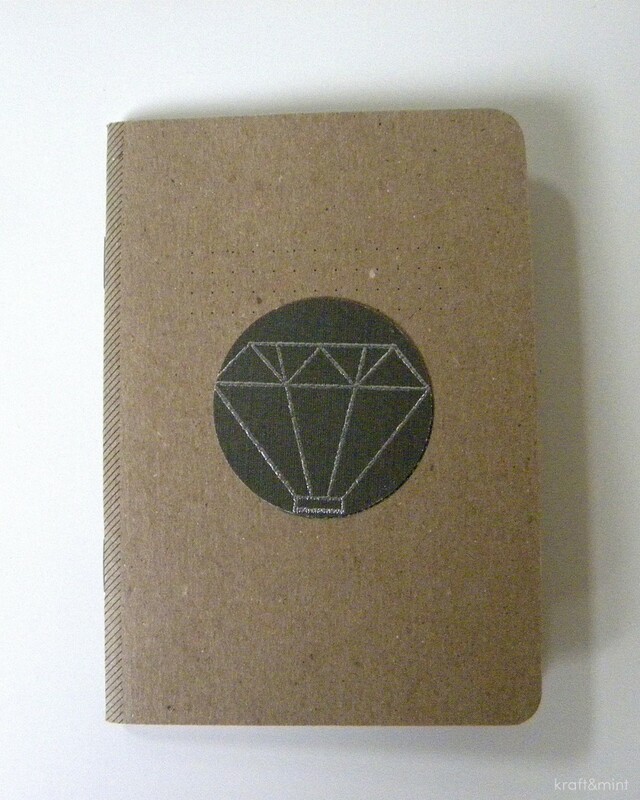 Once I had my diamond shape “embossed” on black card-stock, I used a 2″ inch circle punch and then glued it to my notebook. Super easy! I’m listing the materials I used below. What do you think? As always I love hearing from you! 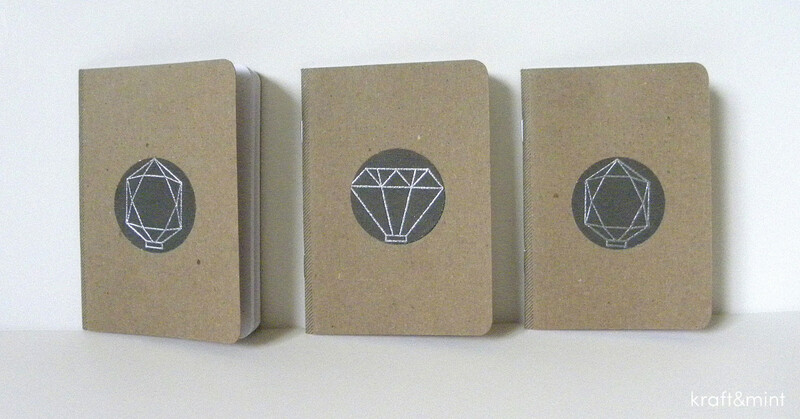 Scout notebooks (set of 3) sold at Amazon. 2″ inch circle punch sold at Amazon. You have to give these a try, they are magnet compliments. These look wonderful! I am quite the crazy notebook lover. I’d love for you to share at our Link It or Lump It party. Hi! Thank you for stopping by and sweet words! I just linked up this post to your blog :) Cheers! Simple and beautiful. Always love your designs, Ursula :). Thank you so much Amy! Happy New Year ;)! These are really cute. I love a mini notebook! I love these! I think I need one. Oh This makes me wnt to use my stamps again! Love how you embossed these notebooks. Found you from the DIY Sunday Showcase.